So I’m going through the new promotion from Domtar, Mark Your Mark, when I saw something that stopped me mid flip. 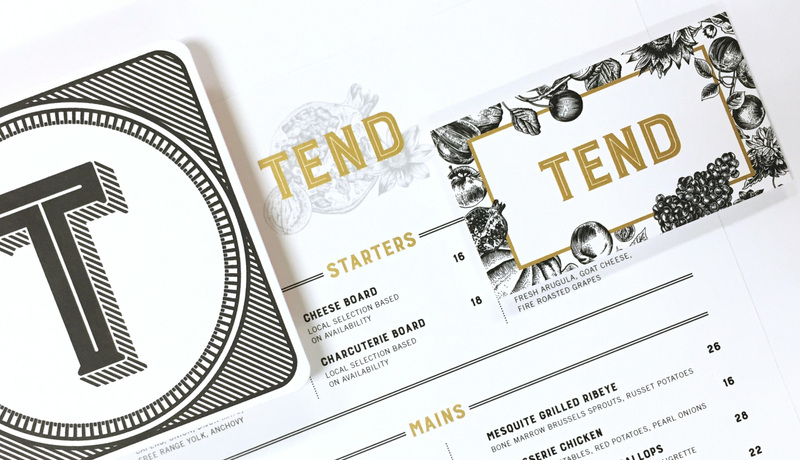 While the piece itself is about identifying different market segments, what really caught my attention was the design for the restaurant segment. 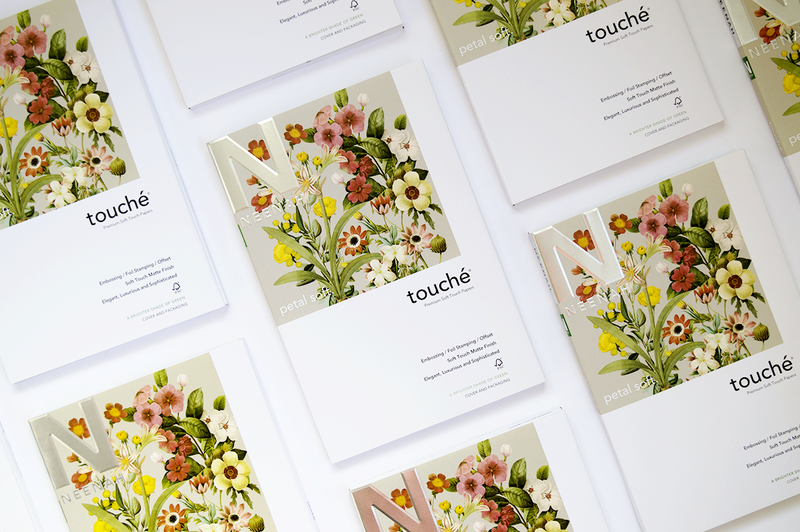 This particular sample set contained a menu, coaster, order pad and business card. I immediately noticed its elegant simplicity – black and white illustration with a pop of gold ink. I flipped to the production notes and read two words that stopped me in my tracks. Digital Gold. Wait, what? 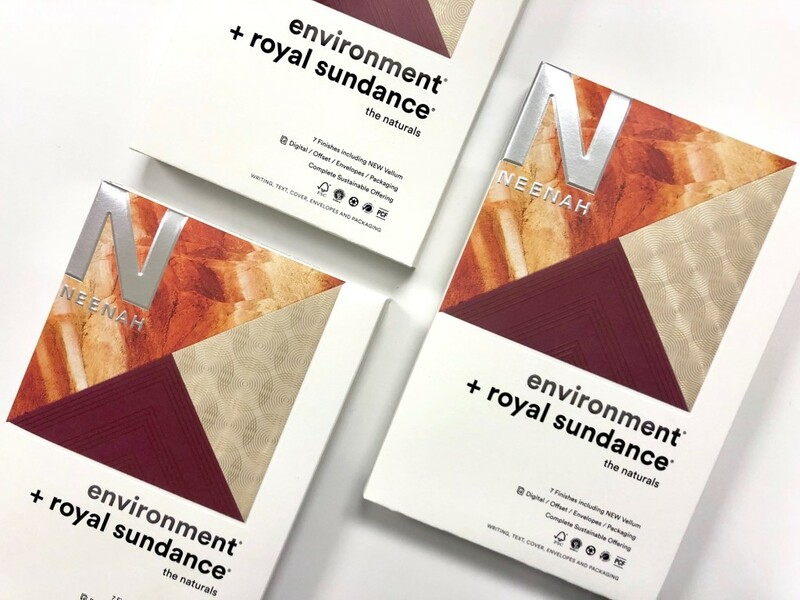 Yes, gold digital metallic ink. Now my print peeps are going to tell me this technology has been available for a while. And yes, gold digital metallic inks have been available for a few years. But the print results I saw in this piece looked so much better than anything I had ever seen done before. What I saw was true digital metallic inks – gold flecks and all. I’m tired of the little black dress. Yes, I’m guilty of having one in my closet that I rely on way too much. On paper it checks all the boxes: it’s black, it fits and I can wear it to a number of events. So yeah, technically it works. But does it WOW? No way. And I have to admit, sometimes I want a little wow factor. Well the same can be said about the paper specified for print. Basic white papers are fine for everyday projects. 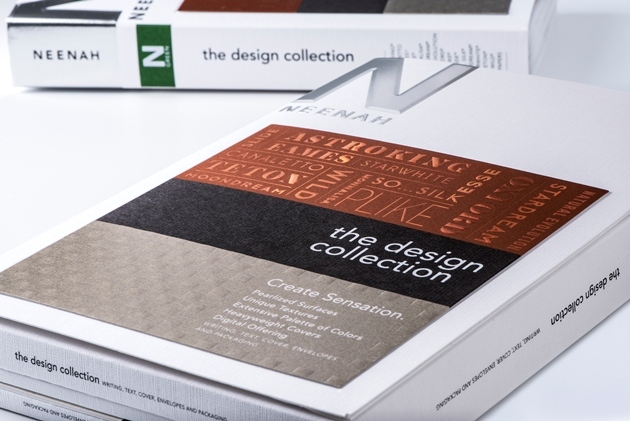 But if you’re looking to create a project that wows – the package that’s too irresistible to touch or the catalog to beautiful not to take – then color and texture are where it’s at. 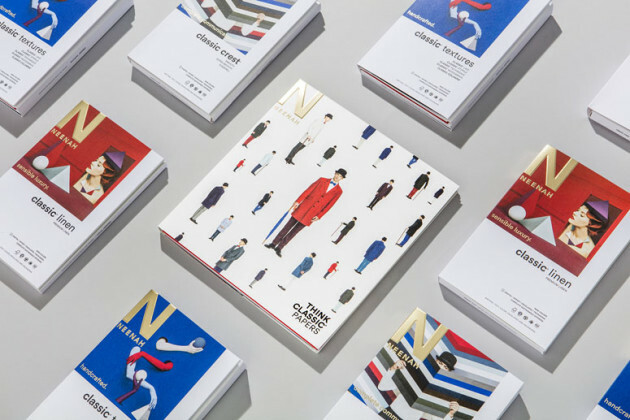 Lucky for us we don’t have to look too far, because Neenah Paper gives us the best of both worlds with their comprehensive new swatchbook, The Design Collection. Oh, really? Tell that to Jessica Hische. She’s built a pretty fab career designing book covers (among other things) for Penguin and Chronicle Books, with the sole purpose of being judged. The reality is our work is being evaluated all the time. And I can think of no other profession where judgment is more intense than in graphic design. When someone is paying you to literally make their brand look good, you can believe they’re judging you and your work long before you ever meet them. I recently asked a group of designers if they ever felt like their comps looked better than the final results. 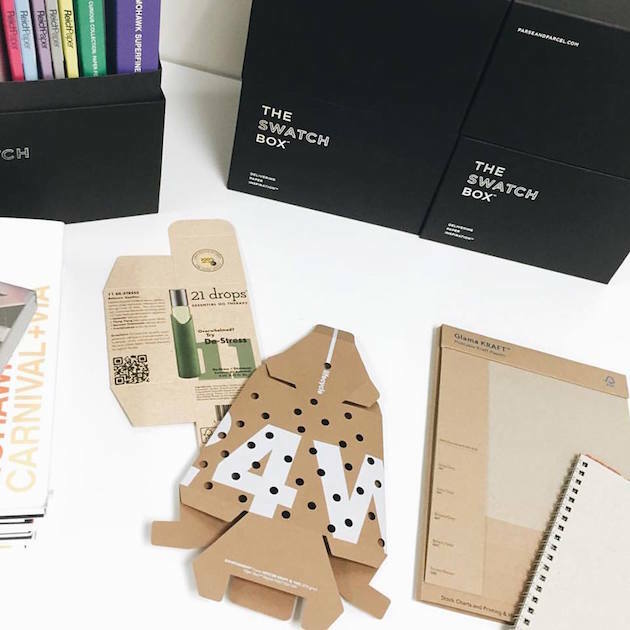 The comments are ongoing, with reasons ranging from unrealistic expectations to lackluster production, but one point keeps coming up – it’s about the relationship designers have with their suppliers. After working with creatives for a while now, I know this to be true but am baffled by the number of suppliers who don’t understand the concept. So many reps fail to do one critical thing – do what you say you’re going to do. So often designers will meet with a rep initially, listen to their pitch, actually like what they see/hear enough to engage with them when they have an appropriate project, only to be let down when it comes time to the rep actually providing the service they need. It gets even worse if the designer is a freelancer. Whether that thing is a quote, suggest options, or provide sample services, there is no relationship without trust. There’s something about a bright, new paper swatch book that makes me giddy. To me, it’s the same feeling I had as a kid when I got new school supplies – I’m all excited about the possibilities it holds for future projects. 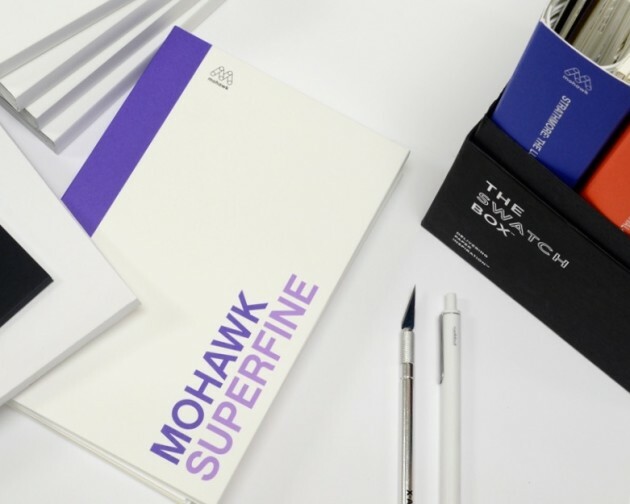 So when the new Mohawk Superfine swatch book arrived in The Sample Studio this week, my wheels started turning. 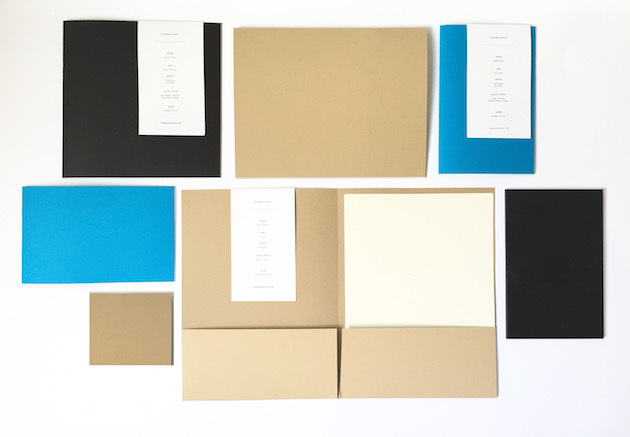 Aside from the fact that I am a huge fan of Superfine (our P&P letterhead and envelopes are printed on the eggshell finish), it also happens to be one of the most versatile sheets out there.